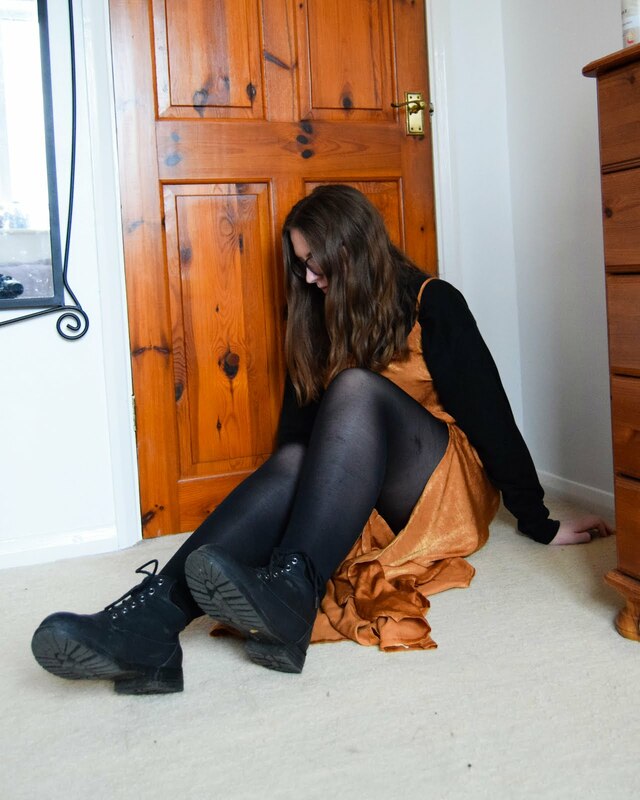 I'm sat here on the morning of the day of which this post is meant to go up, finding it not so easy to find words to write for this post. My mental health has not been at it's best the last few days and motivation to do anything has kind of gone down the drain. But nonetheless, writing and publishing blog content on time makes me feel good, so I'm going to try and make this post as interesting as I can despite my mood. 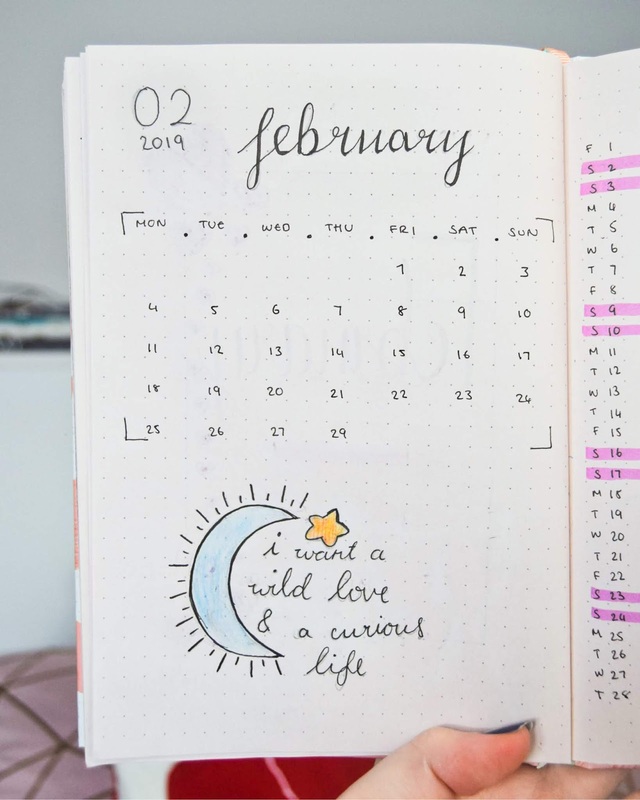 February is finally here, even after how long January stuck around for, so that means it's time to have a look at how I've set up my bullet journal for this month. Honestly not much has changed in it comparing it against the last few months, but I almost didn't set up the monthly pages, so even getting it done has to count for something right? 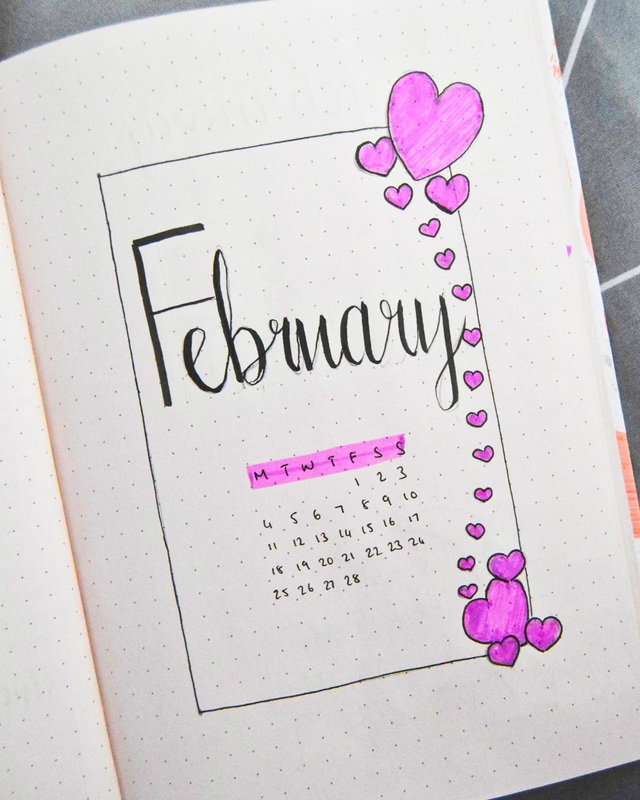 Since the main 'holiday' in February is Valentine's day I went with a pink-ish theme for my title page. The hearts might not be the neatest ones out there, but as I mentioned in my post about How To Start A Bullet Journal it doesn't need to be perfect, it just has to be you. 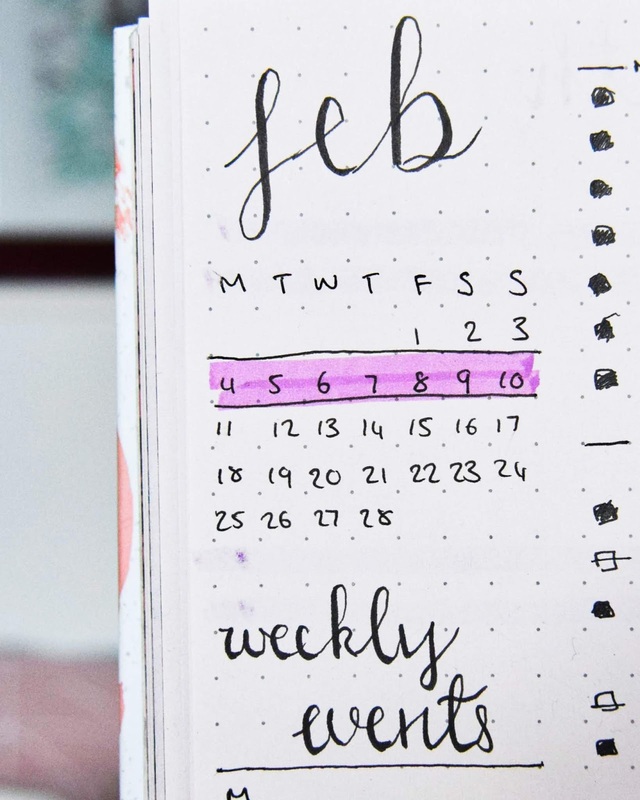 My monthly pages for this February simply consist of a calendar and my events page. February has gone somewhat quiet with the number of things to do, and though that sometimes makes me feel on edge that I'm not doing enough, I'm learning to enjoy the dip in the amount of work I have to do; plus I can catch up on the writing up of my Solar System Physics notes that I had fallen behind on before Christmas. Each month I like to include a quote underneath my calendar on the monthly spreads, since even if I don't read it every day it gives me the reason to scroll through Pinterest to find the perfect quote for the month, and in the process I end up reading a lot of quotes which I really enjoy doing. For February I wanted to try and find something to do with love without being too mushy and I think I found the perfect one. Since even if I don't find love just yet I want my life to be a curious adventure. The last part of February's set up is my weekly spread. I haven't really changed this as I've found something that works, maybe next month I can change it up since I do kind of want something new. But I thought I would just draw focus on how I have my habit tracker on each weekly spread. 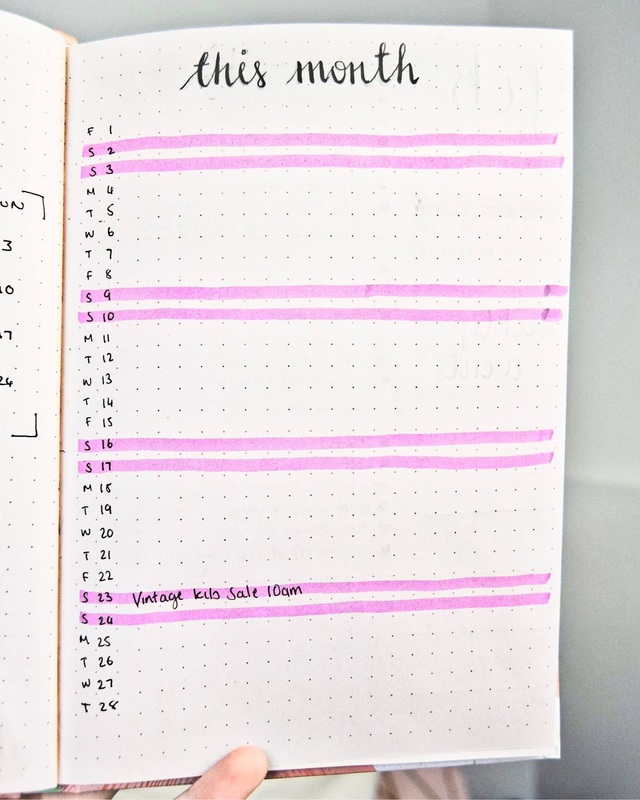 Since in my last bullet journal post about starting a bullet journal I mentioned the different kind of pages you could have in it, I thought I would share the tip of mine to not give the habit tracker a whole page of its own. 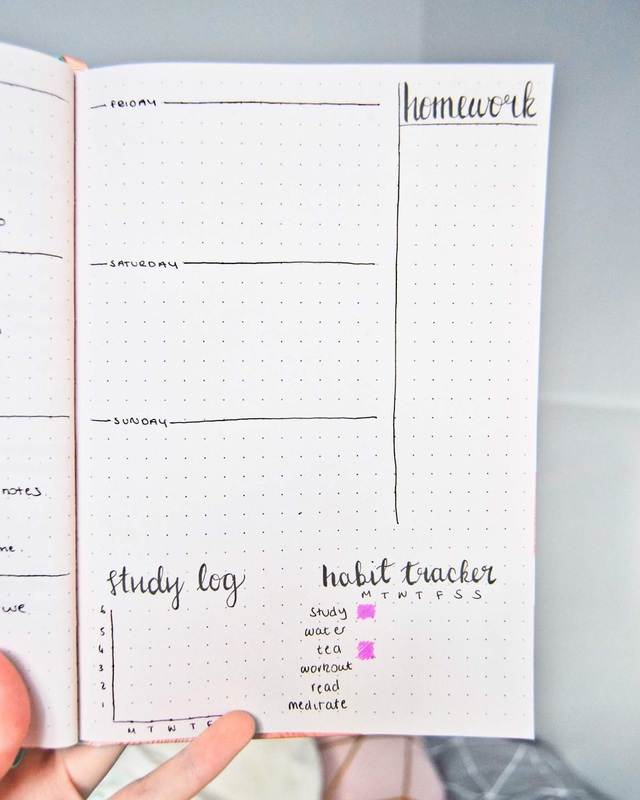 I always used to forget to turn back the page to the habit tracker each day to see what I had done and had not done, so I never grew any of the habits that I wanted to. But with it on the weekly spread that I always have open on my desk, I can always see it and be able to tick off things throughout the day and notice which ones I need to work on. So despite the tricky start to this post, I have seen to done pretty okay. 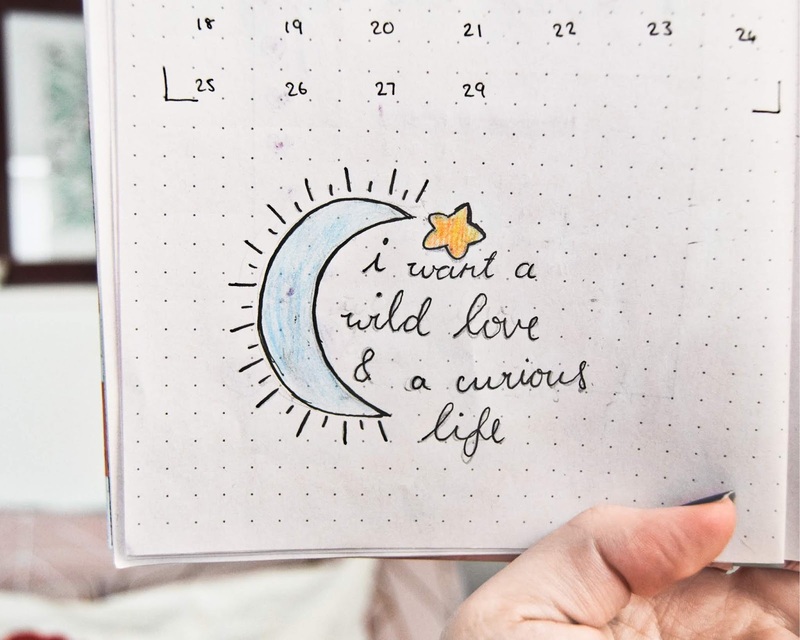 I could seriously do with some more bullet journal inspiration since I'm really wanting to freshen it up for March, so if any of you have blog posts about your bullet journal I'd love to see. I'm thinking I might need to add in a monthly goals page again since I'm sometimes feeling like I'm not accomplishing all that I could. Do you have any goals for February?